Consumers are our customers. You are the ones who purchase and consume our goods and services. You are vital to our business; you are vital to the economy of our state. The association would like for consumers/customers to make informed decisions and purchases. Ask the contractor for his or her license number and then verify it using the LLR website. Click here to read an article by The State Newspaper, SC Has Problem with Unlicensed Contractors. Ask if the contractor is a member of an industry association where he or she can stay up-to-date with the latest changes and technology. 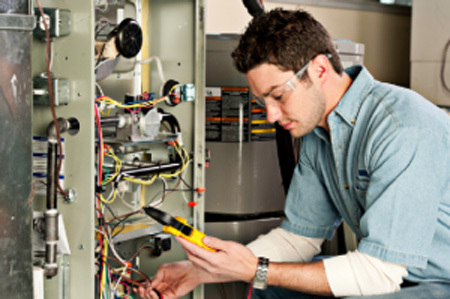 Ask if the contractor and his/her technicians are provided with continuing education. NATE certification is recognized across the industry and country as proof of testing and knowledge of modern technology and systems. Ask friends, neighbors and co-workers for referrals. Ask contractors for customer references and call them. Ask about the contractor’s installation or service performance and if the job was completed on time and within budget. Ask your contractor about local utility or manufacturer programs that may help you purchase higher efficiency equipment. Be licensed by the SC Department of Labor, Licensing and Regulation (LLR). Know the state and local laws and regulations and comply with them. Carry the proper insurances to protect you, themselves and their employees. Maintain education, training and knowledge in the latest technologies and procedures; particularly in how to properly size the equipment (Manual J) and design the ductwork (Manual D) to best suit your specific situation. Inspect your duct system (if applicable) for air leaks and insulation and measure airflow to make sure it meets manufacturers specifications. Listen to your problems and cares about your comfort. Provide a written, itemized estimate. Show you how to care for your system on a daily basis. Offer planned preventative maintenance service(s). Follow up with you to make certain that you are satisfied with the service and with your new system. If a new system is necessary, your contractor will perform a Manual J® load calculation.